On August 16, 1920 the Cleveland Indians prepared to take the field against the New York Yankees to start a crucial three-game series at Yankee Stadium that pitted the first-place Indians against the third-place Yankees. Cleveland was a mere four percentage points ahead of the Chicago White Sox in the standings; New York stood within a half game and only 10 percentage points of first place. The Yankees, perennial also-rans over most of the franchises first two decades, had been strengthened greatly by the acquisitions of manager Miller Huggins in 1918, pitcher Carl Mays in 1919 and outfielder Babe Ruth in 1920, and were contending for their first American League pennant. The Indians were basically in the same boat, having finished higher than third place only once in their first 17 years in the league, before consecutive second place finishes in 1918 and 1919 put them among the junior circuit’s elite. 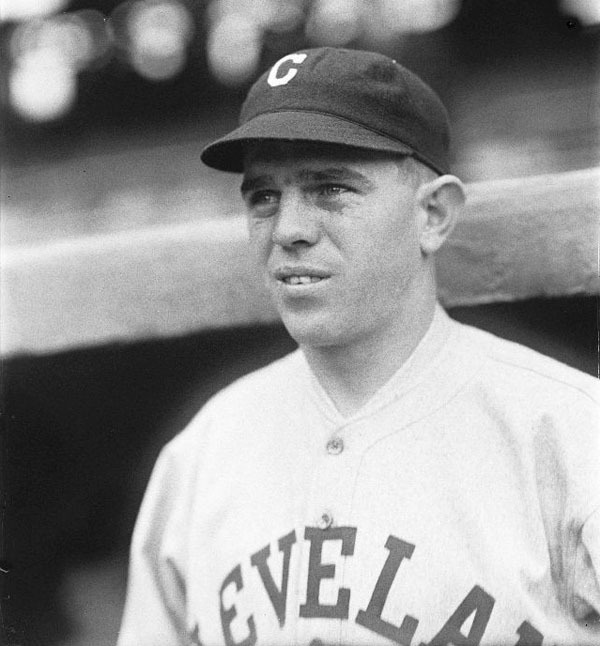 Cleveland, helmed by center fielder Tris Speaker, boasted the league’s best offense and had only two hitters—first baseman Doc Johnston and second baseman Bill Wambsganss—who finished the season with an OPS+ under 100. 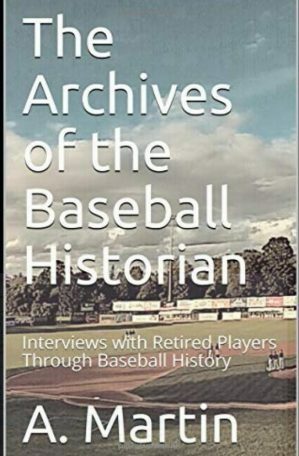 They also had the league’s second best pitching staff, led by 31-game winner Jim Bagby and Stan Coveleski, whose 2.49 ERA was second best in the loop. New York had the league’s best pitching staff, anchored by 20-game winners Bob Shawkey and the aforementioned Mays and 36-year-old Jack Quinn, who would go on to win 18 games. And only the Indians sported a more formidable offense than the Yankees. Only a week before, the Indians held a 4 1/2 game edge over the Yankees and were five up on the White Sox, but Cleveland lost four straight to New York while the White Sox won five straight over Washington in the midst of a seven-game winning streak that cut into Cleveland’s lead. Now the three clubs were separated by mere percentage points as they headed into their respective contests on August 16. Mays took the mound for the Yankees; Coveleski toed the slab for the Indians. Cleveland catcher Steve O’Neill tagged Mays for a solo home run in the second inning to give the Indians a 1-0 lead. Two more Cleveland runs in the fourth bumped their cushion to 3-0, which is where the score stood when popular and talented Indians shortstop Ray Chapman stepped into the batter’s box to lead off the fifth. Mays, who employed an almost underhand delivery that had Baseball Magazine opining that he “looked like a cross between an octopus and a bowler,” threw a pitch that tailed into Chapman and slammed into his head with such force that Mays thought the Cleveland shortstop had hit the ball with his bat. While the Yankees hurler fielded the sphere and threw to first in an attempt to get the out, Chapman slumped to the ground in agony. He remained conscious and even had the strength to walk as far as second base before his knees finally gave out and he had to be carried the rest of the way to the clubhouse. When play was restored Harry Lunte, a little-used 27-year-old shortstop, entered the game to run for Chapman and became the answer to a trivia question. Chapman suffered a fractured skull that required emergency surgery and he died the next day. Lunte became the Indians starting shortstop, not because he was the best candidate but because he was the only candidate. Except for Lunte, only outfielder Joe Evans had experience at shortstop but he was sick and had been ineffective as a middle infielder. 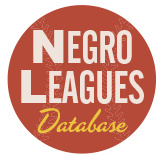 Joe Sewell, who would eventually take over at shortstop for Cleveland, was stuck in New Orleans and was being held hostage by a manager who was refusing to let his prize player go until the Southern Association season ended on September 18. So the job was Lunte’s. Lunte had been drafted by Cleveland in September 1917 and was expected to make the Indians’ roster in 1918, but he suffered an injury at his home in St. Louis prior to Spring Training and wasn’t able to report to Cleveland until mid-June. He failed to appear in a game that year, but was on the roster heading into the 1919 season. With no chance to break into an infield that featured Wambsganss at second, Chapman at short, and Larry Gardner at third, Lunte had to be content with his role as a reserve infielder. He made his debut on May 19, 1919 and went 0-for-1 as a pinch hitter. The rest of the season went much the same. Lunte appeared in 26 games and hit .195, rapping out 13 singles and two doubles in 77 at-bats. He drove in and scored two runs, walked once, and failed to steal a base. Lunte had a reputation as an outstanding fielder and Tris Speaker claimed that his reserve shortstop had the best pair of hands he’d ever seen, Nap Lajoie and Honus Wagner not withstanding. 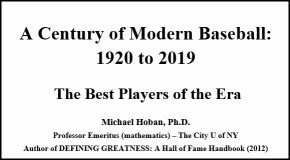 But defensively his numbers were below average in 1919 and he boasted the worst range factor among American League shortstops. Speaker may have been enamored with Lunte’s glove work, but he desperately sought a better hitter to replace Lunte on the roster prior to the 1920 season. His search came up empty, however, and Lunte remained on the team, albeit in a limited role. “That riding the bench is the toughest job of all,” he told the Cleveland Press‘ Ed Bang. “I want to get in and play. 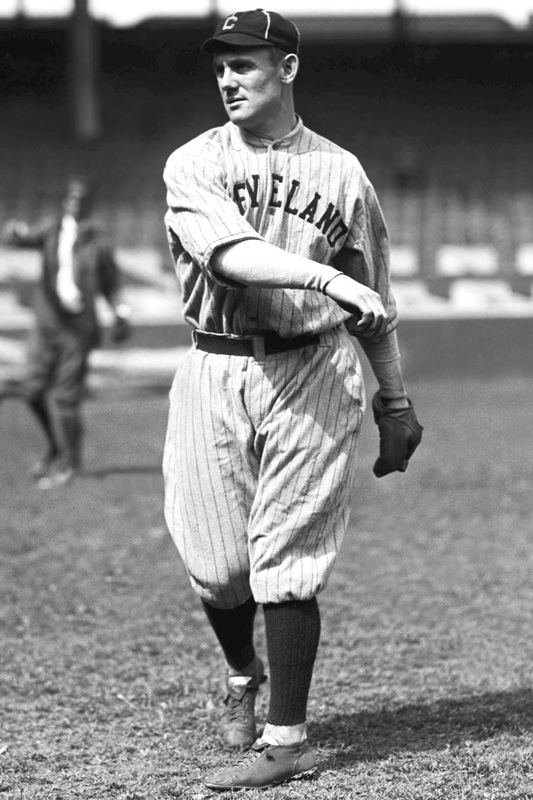 It’s so much easier to be doing something you like to do than to be always wishing for a chance.” His chance finally came on August 18, 1920 in Cleveland’s first game since Chapman was beaned. He went 0-for-4 in a game won by the Yankees in the bottom of the ninth when first baseman Wally Pipp blasted a two-run homer off Jim Bagby to give New York a rousing 4-3 victory. The Washington Post reported, “The fans paid tribute to Chapman’s memory by applauding Lunte his successor, when he first came to bat.” And so it went with each new stop on their road trip. Seventeen thousand spectators showed up at Fenway Park for an August 21 doubleheader to show their sympathies to the Indians and to applaud Lunte in a show of support. Senators fans did the same when the Indians played in Washington. When the Tribe finally returned home to Cleveland on September 3, Lunte received three standing ovations after making a handful of outstanding plays in a game against the Tigers. A week after Lunte took over for Chapman, The Sporting News reported “Harry Lunte, the utility man delegated to fill the gap at short, is doing all that could be expected. There never has been any doubt about his ability to field with the best of them. But he hit under .200 in 1919 and he will have to do better than that to hold up his end.” Lunte’s hitting continued to be anemic, but his defensive statistics finally matched his reputation as he turned in several spectacular plays and fielded the position as steadily as any American League shortstop, recording a fielding percentage of .979. Not even Everett Scott, the American League’s premier defensive shortstop, could match Lunte’s glove work that season. By the time The Sporting News article hit the stands, however, Lunte was no longer Cleveland’s starting shortstop. He suffered a pulled thigh muscle in the first game of a doubleheader on September 6 and had to be removed from the game. Although Joe Evans filled in admirably for Lunte, Speaker and the Indians front office knew they’d have a difficult time holding off the White Sox and Yankees without a legitimate shortstop anchoring their infield and they had no idea how long Lunte would be out of action. Despite Speaker’s insistence that Joe Sewell wasn’t ready for big league baseball, the Indians decided to give the youngster a shot. The Washington Post reported on September 7 that Sewell was on his way to Cleveland from New Orleans. Sewell had hit .289 and scored 58 runs in 92 games with the Pelicans and finished fourth in the league with a .938 fielding percentage. The 21-year-old was just as adamant as Speaker that he wasn’t ready for the majors, but he was finally convinced that he was, indeed, talented enough to compete at the big league level and he boarded a train for Cleveland. “Speaker put his highly touted new shortstop from New Orleans, Joe Sewell, in the game during Friday’s contest, after Evans had performed disappointingly. Sewell is built along the line of Donie Bush but in what little he did Friday he did not exhibit the agility or sureness of the Detroit short fielder. In fact, after watching Sewell and Evans at short, we can only pray that Harry Lunte will recover rapidly from the charley horse he sprung in the morning game Labor Day. Sewell made his debut on September 10 with the Indians holding a one-game lead over the White Sox and a game and a half cushion over the Yankees. He played in the season’s final 22 games and was atrocious in the field, committing 15 errors and fielding at an .884 clip. But he was fantastic at the plate, batting .329 with a .413 on base average, scoring 14 runs and driving in 12. The Harry Lunte era in Cleveland was over. Sewell helped lead Cleveland to its first American League championship, then was declared eligible to appear in the World Series against the Brooklyn Dodgers, whom the Indians defeated for its first World Series title. Lunte played sparingly in the Series, appearing as a defensive replacement for Wambsganss at second base in the bottom of the eighth of Game 2. That would be his last appearance in a major league uniform. Lunte returned to St. Louis after the World Series and only a few months later it was reported that Sacramento was interested in acquiring the shortstop from Cleveland. On February 1, 1921 the Los Angeles Times corroborated those reports, claiming that Cleveland was prepared to send Lunte to Sacramento as part of payment for pitcher Walter “Duster” Mails, who went from Sacramento to Cleveland late in the 1920 season. But more than a month went by with no deal being made and Lunte was still a member of the Indians heading into the spring. Not long after, however, Lunte badly sprained his ankle while sliding into home plate during an exhibition game and was expected to miss the first six weeks of the season. The loss of both Wambsganss and Lunte forced the Indians to look elsewhere for a second baseman and for the second time in as many seasons Lunte was replaced by a player who would become a star. on April 11 it was reported that Cleveland had acquired Riggs Stephenson, the University of Alabama’s star keystone man. With Stephenson and Sewell, both former Alabama stars, anchoring the middle of Cleveland’s infield and Wambsganss soon to return, the Indians had little need for Lunte and finally consented to a deal with Sacramento in mid-May. Lunte refused to report to Sacramento and it was speculated that Sacramento’s owners would demand that Cleveland pay them $5,000 as compensation. But the Moreing brothers chose instead to hold Lunte’s rights in hopes that he would report for the 1922 season. Meanwhile Lunte was demanding back pay for the 1921 season. Lunte finally agreed to report to Sacramento in February 1922 then became ill, which delayed his arrival. When the former Indian finally arrived in California he told Lew Moreing that he didn’t want to play on the west coast and promptly boarded a train back to St. Louis. Moreing had had enough and suspended Lunte on April 6, then, realizing Lunte had no intention of playing for Sacramento, he sold him to Rochester of the International League a week later. Lunte reported to Rochester, but kept insisting that he be paid for the 1921 season. He filed a petition with major league baseball, but was denied payment by Commissioner Landis, who ruled that Lunte did not “present himself for work as agreed” and therefore was not entitled to any money. Lunte’s luck continued to work against him on the field as well. He suffered multiple charley horses in 1922, injured his knee and burst a blood vessel in his leg, all of which limited him to 116 games. Despite his continuous bad fortune, Lunte finished fourth among International League third basemen in fielding, posting a .965 average, and eighth among shortstops at .942. For the first time in years, Lunte enjoyed an injury-free season in 1923 and responded by hitting .306 for Rochester and scoring 88 runs in 167 games. His fielding dropped off a bit as he finished 11th among third basemen with a .939 fielding percentage, but he was second in assists and third in putouts. He repeated his iron man feat in 1924 and played in every game for Rochester, hitting .289 and scoring 87 runs in 169 games and he led all International League third basemen in fielding with a .965 mark. After all the trouble he had staying healthy through his brief major league career, Lunte was the only player to play in every one of his team’s games in both 1923 and ’24 and he set a league record for games played in the latter. Apparently that wasn’t good enough for Rochester. Lunte learned through friends that Rochester management felt he played “indifferent baseball” in 1924, which had him considering quitting the team and playing independent ball around St. Louis. “It will be recalled that Lunte fell into a slump in July,” wrote The Sporting News in March 1925. “But the entire team went into a slump at that time and the Tribe lost four of five consecutive series right here on the home lot. Lunte can hardly be blamed for the losses of those games. He played much better ball than numerous other players on the field at that time.” In early April, The Sporting News predicted that Lunte would be sold and had Al Batch penciled in at third base. But Batch was holding out and neither reported to Rochester until mid-April. 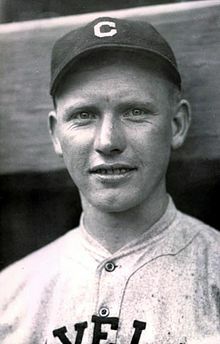 Lunte was given his starting job back, but he struggled at the plate and in the field, suffered a bit of bad luck when he was spiked on May 14, and lost his job not long after when Rochester purchased former Giants and Phillies third sacker “Goldie” Rapp from Toledo of the American Association. Through 56 games, Lunte was hitting .220 and was among the league’s worst fielders, posting a .915 fielding percentage at third base and a .919 mark at shortstop, so he was sold to Atlanta of the Southern League on July 12. In typical fashion Lunte refused to report to Atlanta and was immediately suspended by Rochester manager George Stallings. Rochester attempted to sell him again in August, sending him to Mobile, but Lunte balked again and sat out the rest of the 1925 season. 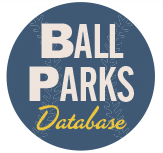 He finally resurfaced with the Newark Bears in mid-July 1926, but he batted only .175 in 17 games and posted a pathetic .783 fielding percentage. His baseball career apparently came to an end following the 1926 season for he dropped completely off the radar after that. Lunte died in his home town of St. Louis on July 27, 1965 at the age of 72.